options such as dental implants. 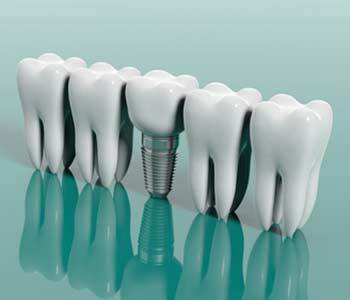 Dental implants are restorations that act as a tooth root replacement. 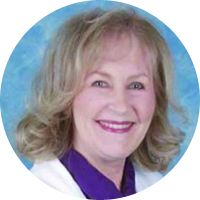 At Houston Biological Dentist, Dr. Marilyn Jones is pleased to provide ceramic dental implants. These implants are made of ceramic instead of traditional titanium, ensuring a more natural appearance and biocompatible treatment. These restorations look like small screws that are surgically placed into the bone of the jaw, and then restored via one of several different methods. What are the benefits of ceramic dental implants? Who may consider dental implants? Dental implants are best for patients who have enough bone of the jaw left to successfully place their new restoration. Dental implants do require bone as a foundation of support, and once placed, they activate a process called osseointegration in which the bone of the jaw fuses around the implant to hold it in place. This process cannot be achieved without enough bone. Therefore, a dentist will take a series of x-rays during the evaluation period to determine if a patient needs to think about alternative solutions. If patients are not appropriate candidates for dental implants, they do have options to consider. First, they can undergo a procedure called bone grafting to build up the bone of the jaw and help in developing the area in preparation for dental implant placement. This may take some time, but it can be beneficial for patients who are serious about using implants to replace their teeth. Patients can also ask about dental bridges, which are used to replace one or more teeth within an arch. Bridges are made of ceramic to mimic the appearance of natural teeth. They include false teeth called pontics that are fused on each end to dental crowns. The crowns bond over the top of the adjacent teeth to hold the pontics along the gum line for a completed look. Finally, patients can also ask about dentures. There are two types of dentures, including partials used to restore one or more teeth within the dental arch. These restorations are made of an acrylic framework that slides into place along the arch and uses the existing teeth for support. During an evaluation, patients can learn about these alternatives. Ready to learn more about the benefits of ceramic dental implants? 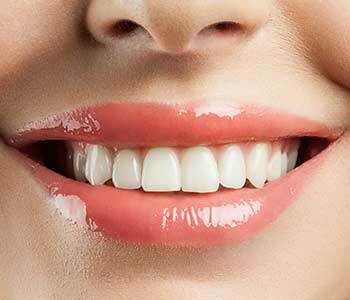 Contact the team of Houston Biological Dentist to work with Dr. Marilyn Jones and discuss how you can restore your smile with biocompatible solutions. Ceramic dental implants are just one of several treatment options available for patients in and around Houston, TX. Call her facility today at (713) 497-1355 and make changes to benefit your smile! The practice is conveniently located in Suite 204 at 800 Bering Drive. We look forward to meeting you and earning your trust. Call our office now at (713) 497-1355 to schedule your next appointment. © Copyright 2018 Houston Biological Dentist.